Healthcare organizations continue the march toward digital programming. Yet, the one place that they often fall short in is the one place they need to be on top of: understanding digital. 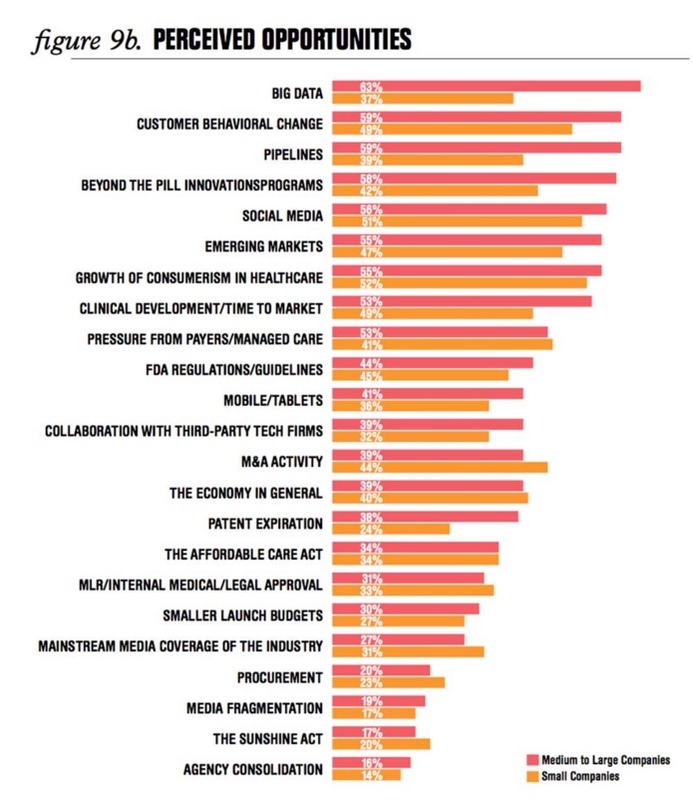 MM&M’s Healthcare Marketing Trends (3rd edition) reports a surge in digital spending among pharma, biotech, device and diagnostics companies. What we noticed is a lack of focus on the right type of content. Take note! Health consumers are not seeking out brands but information, which means that unbranded content can go a long way in terms of delivering on customer expectations and an overall customer experience. But the stats speak differently, with digital spends leaning toward branded (56%) versus unbranded (31%) content. According to the report, the rationale is “because they can.” Not only does this attitude demonstrate a complete lack of appreciation for the significance of customer-centric messaging, but it also highlights one of the largest elephant in the healthcare marketers’ rooms: the ability (or lack, thereof) to truly understand digital. The very same companies that noted areas of major opportunities, i.e. in the data that they have been gathering and in behaviorial changes are still not putting their dollars into multichannel marketing. 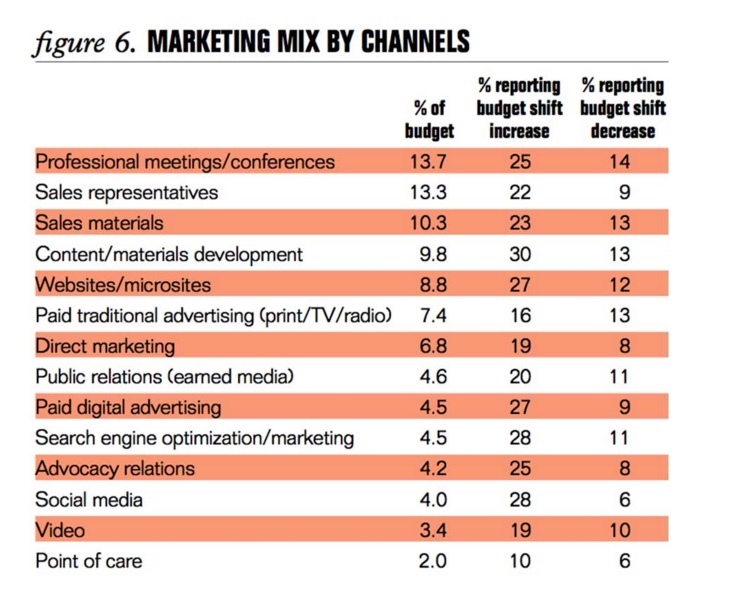 Rather, at least a quarter of budgets have been shifted to professional meetings, sales reps and sales materials. And while some of the shift has been toward content development, the emphasis is clearly misdirected; just look at where social, video and point of care fall on the spectrum. Talk about mixed-up priorities! being open to doing business in new ways. This is a hard sell for traditional companies accustomed to doing things the traditional way. To succeed in digital, hierarchies must be flattened and decision-making more cross-departmental, particularly when it comes to content. Open, in-tune, new lens. These three concepts are bucking the trend in healthcare. Without them, healthcare marketers are stuck in quicksand. Digital waits for no one. It is not a cliche. But it is a path that is filled with major challenges. It is time for healthcare to get their arms around the space.